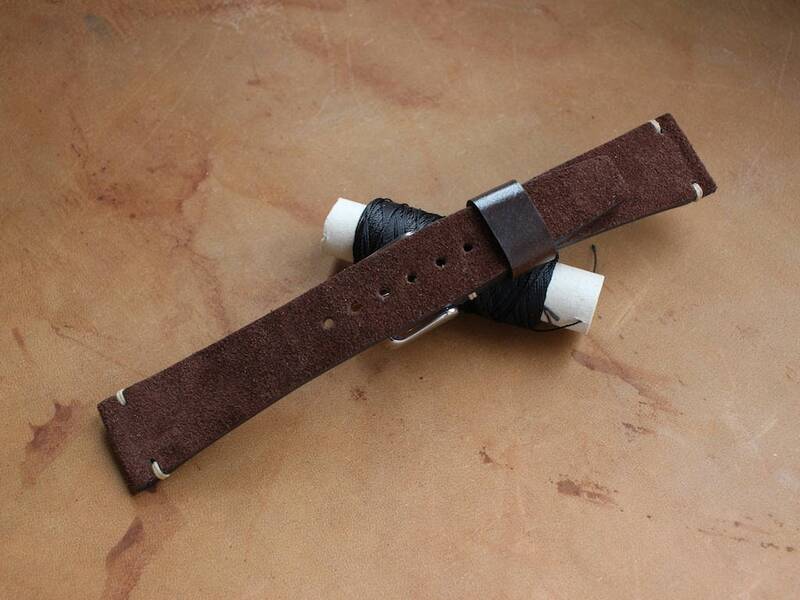 This listing is for a Vintage style Suede 2 piece watch strap. The strap is lined with soft calf leather. 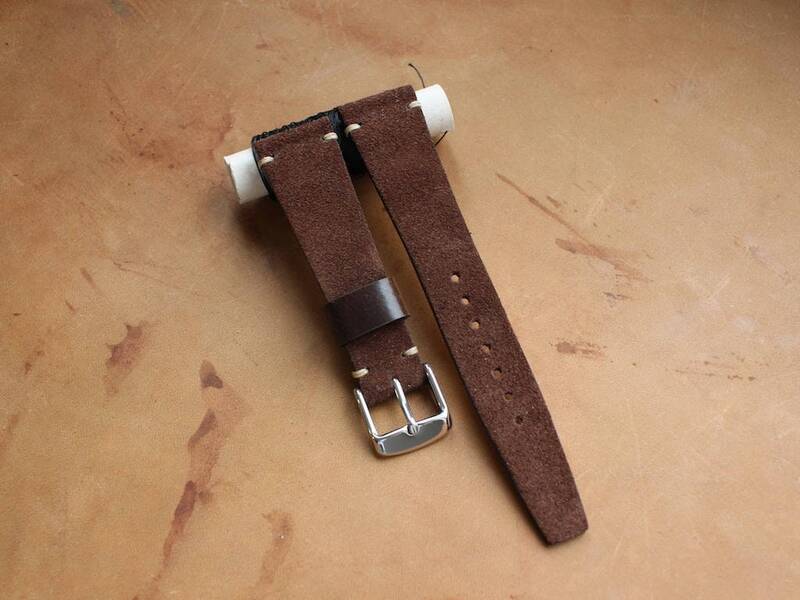 Each strap comes with a Horween Shell Cordovan keeper. 100% hand made in the EU. 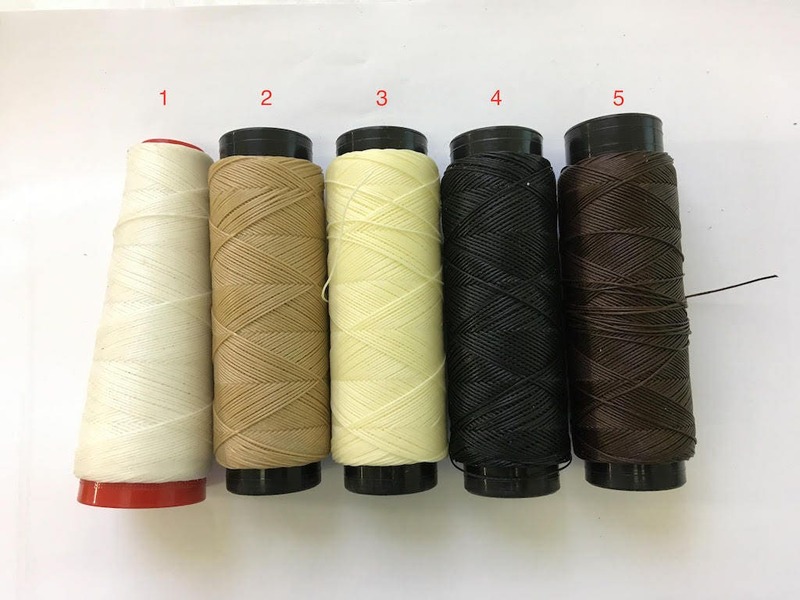 Basic widths are listed but if you require a custom strap width please contact me before a purchase and we can discuss the options. Please contact me before the purchase to find out which Shell Cordovan colours are available for the keeper. Other keeper options including matching suede are possible. 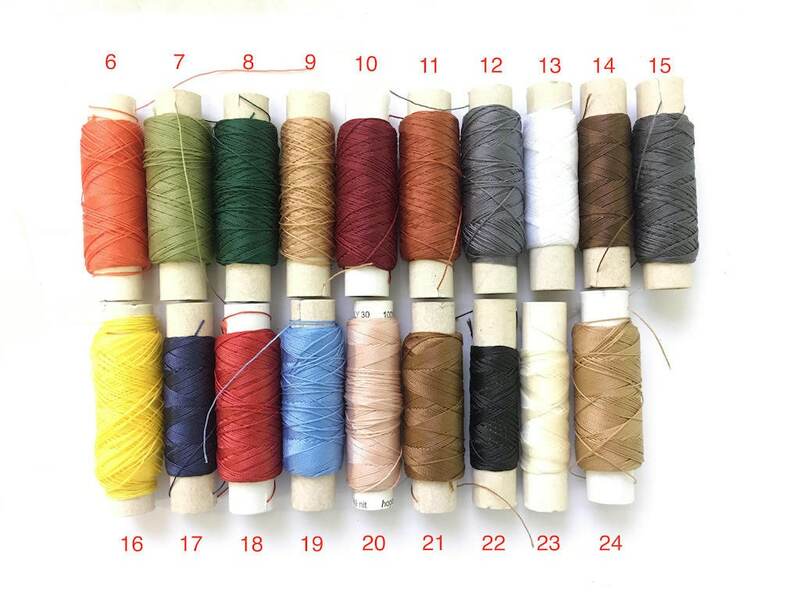 7 colors are currently available!